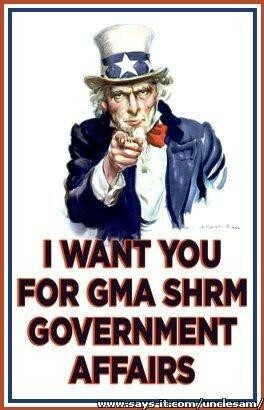 GMA SHRM Government Affairs Committee Wants You! Interested in Getting Your HR Certification? Job Boot Camp 2016 - A Huge Success! As I write this article, the fall chill is in the air. For me, fall is a welcome change after the hot, humid weather we have been having this summer. It is hard to not look forward to beautiful new season, with the changing colors, the return of football season and tailgating and kids going back to school. For many people, the fall season is a busy time at work with budgets, year-end activities and planning for next year. Our GMA SHRM schedule has also been busy as we enter our time for planning programming events for next year’s programming events and focusing on closing year on a high note. Below are a few of our upcoming events, but be sure to check our programming calendar for all of them! Our September Summit is September 13th. Darcy Louma, a certified Leadership and Life Coach will be joining us to discuss Coaching as a Management Style: Be More Effective with Less Effort. This dynamic workshop explores the different management styles and core principles of coaching as an effective management style that leads to more engaged employees and greater results. You won’t want to miss this event. We will also be having our GMA Revealed in October, date TBD. This event is for all GMA SHRM members to learn more about the organization and how you can get involved. Board Members will talk about their committees in a round table format and there is time at the end for one-on-one questions. If you’ve been thinking about volunteering, I encourage you to check out this event! In early August, our GMA Board attended a two day leadership conference in Wisconsin Dells. This event was sponsored by WISHRM and allowed for all local SHRM Boards in Wisconsin to come together for 2 days of learning, best practice sharing, networking and fun. While we are the largest chapter in the state, all who attended walked away with new ideas for their committees and chapters and were able to meet great leaders from other SHRM chapters in the state. We recently had a wonderful Betty Lou Cruise for our volunteers to say “thank you” for all the time they put into our organization. It was a beautiful summer night and we couldn’t have asked for better weather. Thank you LaShana Miller from the Volunteer Engagement committee for organizing! I also want to recognize Heather Kennedy and her Workforce Readiness and Diversity Committee for organizing another very successful Job Boot Camp for our community. It provided job seekers information regarding using staffing agencies and job fairs, access to local HR professionals to offer advice and feedback regarding resume review, mock interviews and more! Great job, team! 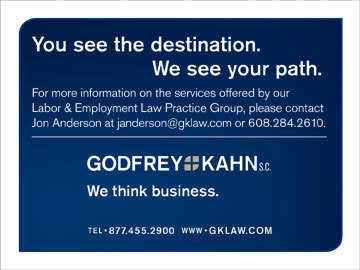 There is a recent Equal Employment Opportunity Commission (EEOC) case that provides an important reminder to employers. The EEOC filed a lawsuit against Wayne Farms, LLC on August 18, 2016 for allegedly violating Title I of the Americans with Disabilities Act (ADA). The EEOC charges that Wayne Farms has an inflexible attendance policy. The ADA requires that employers provide reasonable accommodations that could include time off work to workers with disabilities. Employers should avoid attendance policies that have a maximum number of absences and, if exceeded, automatically lead to termination of employment. When an employee indicates a need for time off work even beyond Family and Medical Leave (FMLA), employers should engage in an interactive discussion to determine if the accommodation is reasonable to avoid violating the ADA. For more information on this case or this topic, visit the EEOC website at https://www.eeoc.gov/eeoc/newsroom/release/8-22-16.cfm. Interested in joining the Education & Development Committee? Simply want to learn more about them? Mark your calendars for one of their upcoming meetings! All who are interested are free to attend! Contact Jeff Westra for more information and meeting locations. GMA SHRM offers tools and direction to help you achieve your HR Certification! Check out these resources. Over 135,000 HR professionals in more than 100 countries are HRCI certified. Holding an HRCI credential demonstrates relevance, competence, experience, credibility and dedication to human resources to your employers, clients, staff members and professional peers. Click here for more information on HRCI's certifications to help guide you through which certification is right for you whether you are just beginning your HR career, you want to establish yourself as a professional, demonstrate your cross-border expertise in the field, and more. Exam preparation options and testing window dates and deadlines are located at this link too. Certification Information Webpage is available! GMA SHRM has a dedicated page on our website which provides information on the SHRM and HRCI Certifications, in addition to information on the student Assurance of Learning Exam. Visit www.gmashrm.org and click on “Certification Information” under the “Education and Events” header to learn more or at this link - http://www.gmashrm.org/CertificationInformation. Have you considered getting your SHRM certification? The UW Madison Small Business Center offers the SHRM learning system preparation course. The program starts September 21 and runs 9 weeks, meeting on Wednesday nights 6:00 p.m. – 9:00 p.m. at Grainger Hall. This intensive program combines expert instruction with the SHRM Learning System® for SHRM-CP/SHRM-SCP, so you will learn faster, retain more knowledge and stay on track for success on the exam. To learn more, visit this link: https://bus.wisc.edu/cped/sbdc/program-topics/special-programs/shrm-learning-system-course Discounts are available for National or local members, with an extra discount if you’re both a national and local member! Interested in obtaining your PHR, SPHR, SHRM-CP or SHRM-SCP? Sign-up for a study group! Each year, GMA SHRM offers a study group for those preparing for the PHR/SPHR or SHRM-CP/SHRM-SCP certifications. The meetings are focused on open discussion/dialogues for participants on topics in any of the modules as well as test taking skills. If you are interested in participating in a study group, please contact Kathy Wright at kathyw@cues.org with “SHRM Study Group” in the subject line. Kathy will connect interested members to work out a mutually beneficial meeting location and time. The GMA SHRM provided a Job Boot Camp for the community on August 19th. We had around 30 participants for this event. The event was held and advertised in conjunction with United Way’s Days of Caring program. We had a few great changes to the event this year. We hosted five staffing agencies to come and meet with our participants. These agencies were able to network with the participants to schedule interviews at their locations and assist with preparing them for the workforce. In addition, due to the lower attendance, we had several one-on-one connections being made. Some of our HR Professionals were able to foster more in-depth conversation with our participants. These participants walked away with excellent, undivided tutelage in looking for positions. The Workforce Readiness Committee will be adding another Job Boot Camp designed for upcoming college graduates. This event will be held around February 2017. Watch for the next opportunity to volunteer for this event. 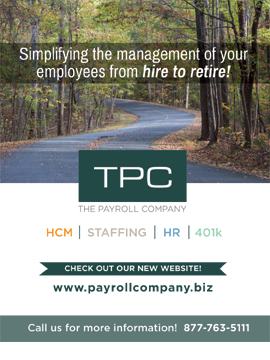 Connecting client companies, their HR & management team members to the right resource and solutions for their staffing, recruiting, compensation and HR consulting needs. Helping mentor other HR professionals and seeing them flourish as they grow within the industry. Every challenge is an opportunity & with the right perspective can be overcome. It came highly recommended, when I came to the Madison market, as a link to phenomenal HR Professionals and knowledge. I have been volunteering with GMA SHRM since 2011. I have spent the majority of my time volunteering with the Philanthropic committee. I also spent a brief amount of time with the technology committee. The philanthropic committee has been very exciting to be a part of, especially over the past year. In the past, a large amount of our effort was spent towards the annual golf outing. Our focus is now geared towards giving back to the community in different ways by leveraging the skillsets of our GMA SHRM members. This allows our members to connect more with the community. Interacting with other peers and professionals has been enjoyable for me. 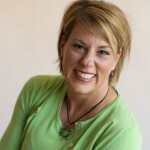 The world of HR in Madison is relatively small, and the connections I’ve built over that time allows myself and my peers to leverage each other as HR professionals. I have been able to reach out to these peers outside of the committee to connect on best practices, experiences, and to bounce ideas off of. The GMA SHRM volunteer groups are incredible. The have direct impact on the SHRM organization and there is opportunity to gain experience to help your career, whether it be project management or leadership skills. There are committees involved in many different areas: education, programming, philanthropic, diversity, and plenty more. One of the most valuable receivables from volunteering has been personal development. Like many members, I’ve wanted to grow my experiences and skills. Helping coordinate, plan, lead and work with the committee provides meaningful experience out of my day job. However, it is like any tool or resource: it is only as valuable as the effort you put into it. The value is up to you. Some individuals only contribute a few hours a month while other individuals can do more. The positive news in no matter which end of the spectrum you’re on, there is an opportunity for everyone. ﻿GMA SHRM welcomes the following members who joined our chapter in June 2016!